EDITOR’S NOTE: Last week’s post (What’s Usually Negotiable in Job Offer, What’s Not) focused on four elements of the typical job offer that usually are open to negotiation (salary, starting date, vacation days and relocation reimbursement) and three elements that rarely if ever are open to negotiation (insurance benefits, company retirement plans and paid time off). This week’s post features advice from an expert on the best, most effective strategy to use, if you find it necessary to negotiate elements of a job offer. 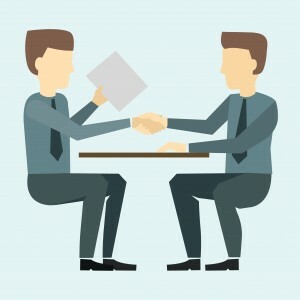 SINCE MOST OF US ARE NOT REGULARLY ENGAGED IN NEGOTIATIONS OF ANY KIND, it can definitely be advantageous to take some pointers from a recognized expert in the field about how to successfully and effectively negotiate anything, including, of course, a job offer. An eminent expert I consistently recommend for negotiating advice is Stuart Diamond, a Harvard Law School graduate who teaches negotiation tactics and strategies to students and Fortune 500 executives at The Wharton School of Business at the University of Pennsylvania. Professor Diamond’s negotiation research spans over two decades and is informed by data generated from over 30,000 people in 45 countries. Diamond says that, if you think about negotiation strictly from the standpoint of “winning,” you quite likely will just end up losing. Instead of focusing exclusively on winning, Diamond stresses, you should focus on meeting your goals. Diamond’s advice: Define what your true, principal goals are in the negotiations and then make sure that your actions and reactions are helping you meet/attain those goals, not largely undermining your efforts in that direction. Example: If one of your true, principal goals is to land the particular job you are being offered, but not every aspect of the offer is necessarily to your liking, first concentrate on doing that which will help you realize this goal, i.e., landing the job. Then, to the extent possible, honestly attempt to negotiate those parts of the offer which are causing you concern. Ask what you can do for the other person. Negotiation is very much a give-and-take proposition, Diamond says, and when you ask the other person what you can do for him/her, it can go a long way toward successful negotiation. Example: When discussing your job offer concerns with the hiring manager, ask if you are perhaps overlooking some key concern(s) of his/hers. Then ask what, if anything, you might be able to do or how you might be able to give ground on something that would perhaps bring the two of you closer to a mutually satisfactory agreement. Maybe there actually is nothing you could do, but the mere fact that you indicate that you are at least trying to see things from his/her perspective can go a long way toward establishing additional rapport and common ground. Uncover and then clarify any misconceptions that may exist. Whenever there is a conflict/disagreement between what you think is the root cause of any sticking points during negotiation and what the other person thinks is the root cause, don’t automatically assume that you know what the other person is thinking or what, specifically, may be motivating him/her to take any particular position. Ask the other person what his/her perceptions of the situation are, and then seek further clarification, if necessary. “Anytime you have a conflict with someone, ask what they are perceiving,” Diamond advises. Knowing what the other person’s true perceptions are—and not what you think or suppose they are—no matter how discordant these perceptions may be with your own, gives you a better starting point for persuading the other person to see things the way you see them, he adds. Example: Suppose the hiring manager is adamant that he/she simply cannot (or will not) go any higher on the salary offer on the table. Rather than merely assume that he/she is just being contrary or hard-headed, if possible, seek to learn why the hiring manager is taking that position. It may be something as simple as restrictions built in to the company salary administration system, restrictions that the hiring manager may be unable to override. Never threaten, issue ultimatums or “walk out” (literally or figuratively) on negotiations. When faced with an apparent impasse during negotiations of any kind some people respond in a somewhat less than professional manner. They may make threats and/or issue ultimatums (“If that’s the way things are going to be, I am no longer interested in even discussing the issue… .”), or, they simply walk out on negotiations, either figuratively or literally, and any potential deal under consideration can quickly and easily be doomed from that point on. I’m sure it will come as no surprise that, as a professional “headhunter,” from time to time I experience the hard-line reactions/responses—from both candidates and hiring managers!—that Diamond refers to in his 4th negotiation tip. “There is no way I am even going to consider such a ridiculous (salary, benefits package, etc., etc., etc. ),” a candidate might tell me when I present a hiring company’s offer to him/her. “This is all we are going to offer for the position and the candidate can either take it or leave it,” a hiring manager may say, when I come back with a counter-offer from the candidate. Obviously, when either (or both) parties to job offer negotiations take such apparently hard-line, irrevocable positions, there rarely can be any winners, only losers! This post is an excerpt from Career Stalled? How to Get YOUR Career Back in HIGH Gear and Land the Job You DESERVE—Your DREAM Job!, Skip’s latest book in the “Headhunter” Hiring Secrets Series of Career Development & Management publications. Would you like to receive a FREE, evaluation copy (PDF format) of Career Stalled? via email? Shoot an email to editor and co-author Michael Garee at mlgaree@headhunterhiringsecrets.com. (Copy & paste email address into your email client.) All that is asked in return is that, once you have had an opportunity to review the book, you go on Amazon.com and write an honest review of it—good, bad or indifferent. Thank you!